I’m a big proponent of Team Foundation Server. It integrates natively with AX 2012 and is a great way to keep track of enhancement requests and bug fixes. Unfortunately for our team, we do not have a TFS Build server. 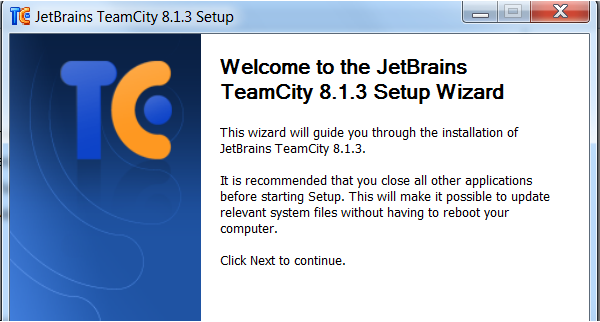 So, to circumvent this I went to Google and found JetBrain’s TeamCity which has a fabulous price of FREE! Below I’ll detail the experience of setting up a TC install and configuring TFS ( part 1 ), then in a separate post I’ll demonstrate the required modifications to some startup commands to AX ( part 2 ), and lastly I’ll cover how to kick off an automatic build ( part 3 ). Step 1) Download the latest version of TeamCity and install using default settings. Step 2) Run the TeamCity First time startup guide. Step 3) Choose SQL Server and download the JDBC Drivers. Step 5) Create the new database in SQL Management Studio. You can use any settings you need, the screenshot shows an example install only. Step 6) Create a SQL user with full dbo permissions as it will need to be able to modify the schema. We can switch to Windows Authentication later. Step 8) Create your administrator account. 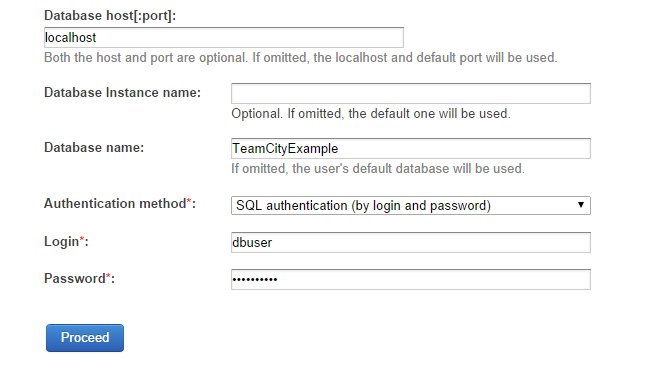 The user account that the TeamCity Server service runs under needs to have full db_owner permission to the database you’ve specified. Restart the service and make sure you can still log in. You’ll want to edit the ldap-config.xml file as well, using the latest recommended settings from JetBrains. You now should have a fully running TeamCity Installation! Next up, how to add a few commands to allow AX to be built automatically.